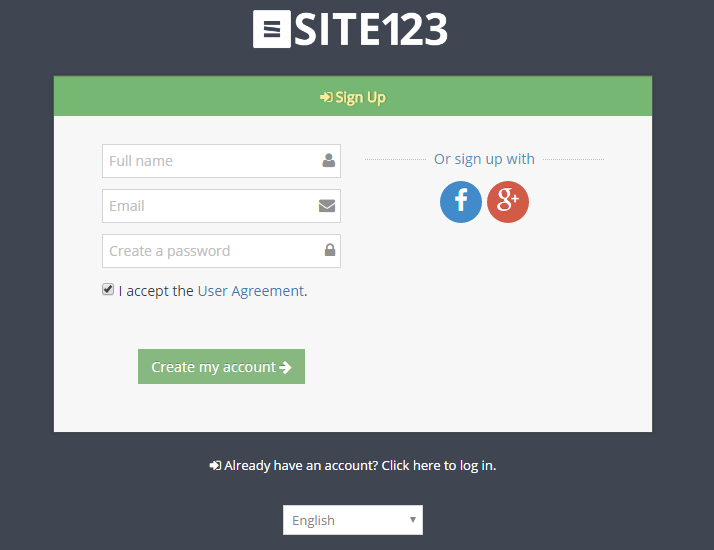 SITE123 is an inexpensive and simplified solution to website building. Offering both free and premium plans starting at just $10.80/mo for its basic plan — SITE123 is perfect for small business owners wanting to take their business online. This is made possible via SITE123’s three-step website building process that takes your content and lets you insert it into premade/responsive templates. What you end up with is a beautiful search-engine-optimized website that can be viewed on any screen size. In total, there are four plans offered by SITE123, and we will highlight those most relevant to small business owners in the below review. Step One: When you enter the site, you can click the ‘New Website’ button in the top right-hand corner of Site 123’s main dashboard. You will be able to select from 11 categories of website styles, including business, online store, blog, event, photography, technology, restaurants/food and more. In total, there are over 100 templates available, however, you’re not given the chance to choose from one right away. Step Two: After selecting the category of the website you wish to create, name the site and choose from dozens of languages, including English, German, and French. There are dozens of options in terms of languages. You can view the full list of SITE123’s templates on SITE123’s website. You are only given the opportunity to make changes to your template after you are assigned one based on the theme of your website. Step three: This occurs within the editor itself. Here, your website is automatically generated and you can begin to place content where you want it to appear on your website. After performing the above tasks, you will receive a pre-generated website that provides step-by-step instructions on how to properly use the platform. This comes in the form of helpful messages every step of the website building process. Control text, text size, and add a slogan. There is the option to upload your own images or select from a library of thousands of free images via Unsplash or upload your own photos. 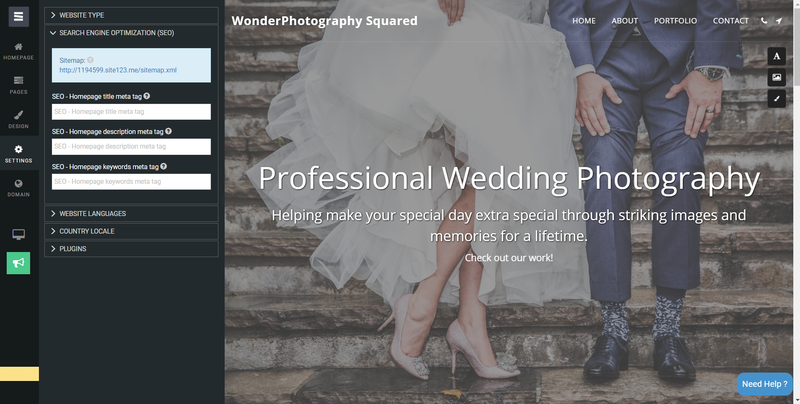 Choose from dozens of additional layouts for your small business website. Edit/change the name of your website, control font size, and add your business logo. 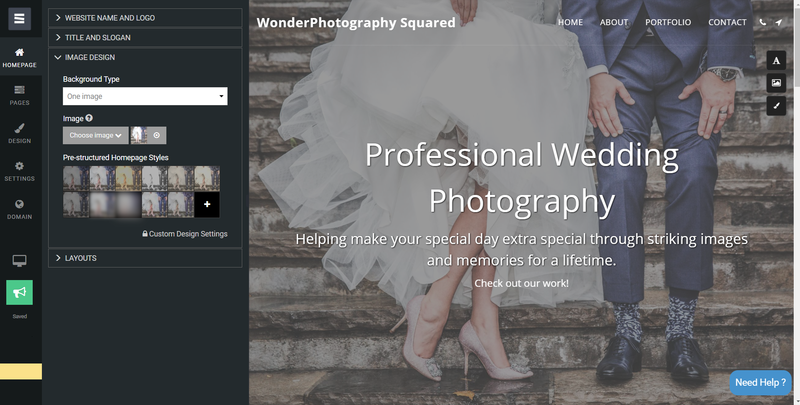 Small business owners can even add a title/slogan, add/edit images, and select from nearly thirty additional layouts. Edit various pages on your site and control aspects such as phone number, email, address/opening hours, and, social details. You can also find advanced settings which enable you to send auto-reply messages, add scripts and code as well as create custom forms for collecting site visitor data. Choose from a single or multi-page website. Control SEO settings such as meta tag, homepage description, and homepage keywords. Translate up to 150 words of your site to dozens of languages. To translate the rest of your site, you have to do so manually. Set up timezone, date formate, and time format. Manage plugins (what Site123 calls integrations). Connect an already-existing or add a new domain. Small business owners can choose from: .com, .net, .org, .eu, .biz, .name, .mobi, .info, .ws, .co.uk, in, .de, .co.il, org.il. Preview your site in desktop, tablet and mobile view. From the main dashboard, access settings, domain, form messages and mailing lists. Here, you’ll find an incredible amount of value in the form of marketing material creation and distribution. If you want to build a custom form for customers to contact you-you can. Go to Editor>Pages>Settings>Edit>Custom Form Builder and click ‘Edit.’ There, small business owners can enter up to five email addresses in which they will receive information submitted from a form. Add an auto-reply message and scripts/code to Google Conversion, Facebook Pixel and more. From the main dashboard, send marketing emails — a truly standout feature nearly invaluable for small business owners. Import and export CSV files with contact information for email distribution. If you have subscriptions to Salesforce or ZOHO — connect them to your SITE123 account for contact management and automatic synchronization. After you design your email marketing campaign, view key insights such as the number of messages sent and when they were sent. There are a limited amount of templates offered, in fact, there are just two for this specific feature. From Mailing Lists, add a logo to your email, images, header text, body text, links and, CTAs. Small business owners can even control unsubscribe settings, background colors and more. Responses to forms will be housed in one of two places — the email you entered and from the From Messages button located in the SITE123 Main Dashboard. There is no mobile editor, as each of SITE123’s templates are already mobile optimized. Small business owners can use SITE123’s SEO optimization tools to create a perfectly-optimized website. This includes meta tags, the ability to view your sitemap, and 301 redirects. SITE123 has free hosting, and its servers are located around the globe to create a faster data loading time. Its shared hosting provides peace of mind via security. There is even the assurance of having backed up copies of site content through SITE123’s advanced Content Delivery Network which distributes copies of original data to hundreds of servers located across the world. This ensures visitors can view your information as quickly as possible, as data are downloaded from the nearest server. This ensures overall faster loading speed. 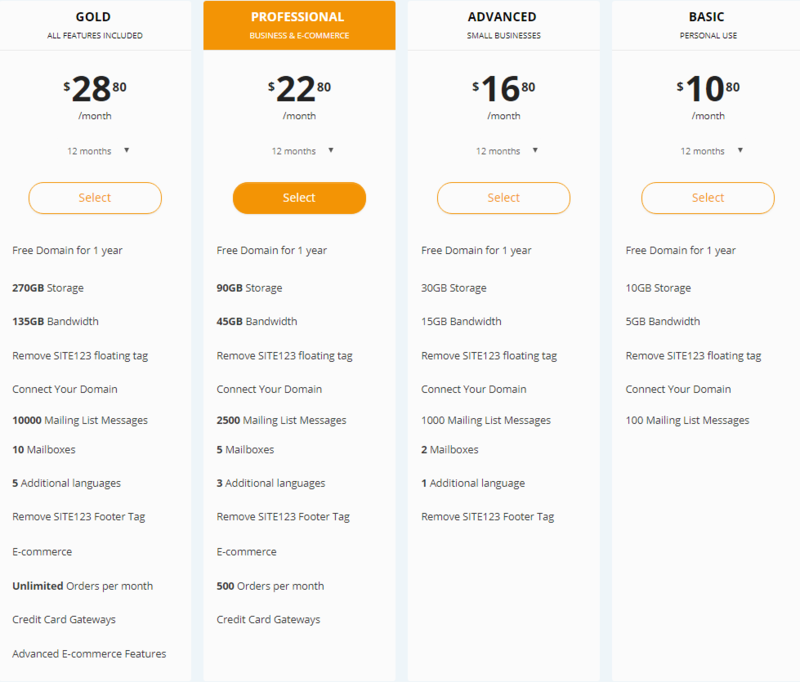 Small business owners can register already-existing domains, have Site123 connect to a pre-existing domain or receive a free domain with the purchase of an annual plan. One truly standout feature of SITE123’s domains is that you can redirect multiple domains to your primary domain. 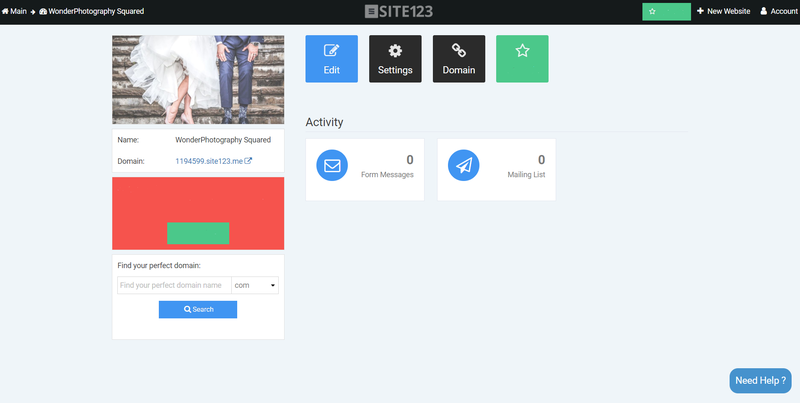 Those who use SITE123’s free plan will have a domain with a SITE123 subdomain. You can access the following top level domains from SITE123: .com, .net, .org, .eu, .biz, .name, .mobi, .info, .ws, .co.uk, in, .de, .co.il, org.il. When it comes to pricing, just like the platform itself, SITE123 keeps it simple. Offering four plans, we’ll highlight the two most relevant for small business owners. In this instance, this is through SITE123’s Premium and Advanced Plans — where small business owners receive the most benefits. For a complete breakdown of SITE123 costs, read our Site123 pricing review. Special offer for WebCreate visitors: Get 10% off! Visit Site123 to open a free account and receive 10% off when you upgrade to a premium account within 3 days. SITE123’s free plan is extremely basic and seems to be designed for one-page websites. This is because the amount of storage offered (500MB) and the amount of bandwidth (1GB) are both low. Not to mention, your website will sit on a SITE123 subdomain. Google Analytics Yes Connect with Google Analytics for key insights on your site such as bounce rate. Social Media Share Yes Connect with AddThis, Privy, Free Accessibility Plugin, GetSiteControl and Shareaholic to reach to assist in growing and monetizing your core social media audience. MailBox Yes SITE123 offers a mailbox feature. MailChimp Yes Through 123 Form Builder — connect with popular CRM platforms like SOHO and Salesforce. Valuable customer data will automatically sync to your mailing lists upon receiving a new submission. Tracking Tools Yes Connect with tracking tools like Twitter Conversion Tracking, Google Remarketing Tag, Facebook Pixel, Google Webmaster Tools, Bing Webmaster Tools, Hotjar, Optimizely, and SUMO. Music Yes Upload/download audio files via the Bandsintown or SoundCloud integration. Video Yes Add videos from Vimeo and YouTube. There is even a free video library. PayPal Yes Add the PayPal secure payment integration in order to accept secure payments for products/services. Although the website building platform is full of features, it does occasionally feel limited. At times, the platform relies heavily on third-party integrations, as there are many features native to the website builder, but far more which rely on the enhancement of third-party enhancements. One of the major components missing is the ability to import/export content if you should choose to use a different website builder. If you find yourself in this boat, you will have to recreate your site with another website builder completely from scratch. You can take its email marketing feature for example. You can only import and export new contacts and lists. If you want to send form data directly to your lists, you have to rely on integrations with Salesforce and other similar platforms. There is no access to the code, so if you want to update your website with new capabilities in the future, you will have to consider other options in terms of customizations. With website builders like Wix, you can edit code and make advanced modifications to your website. 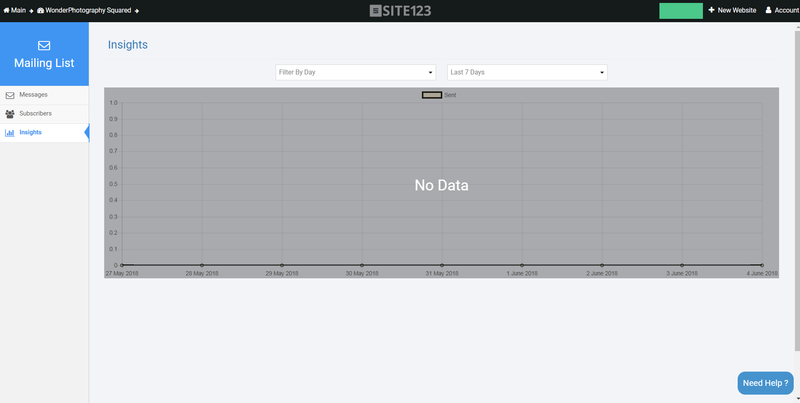 SITE123 users are not given the ability to import/export content. 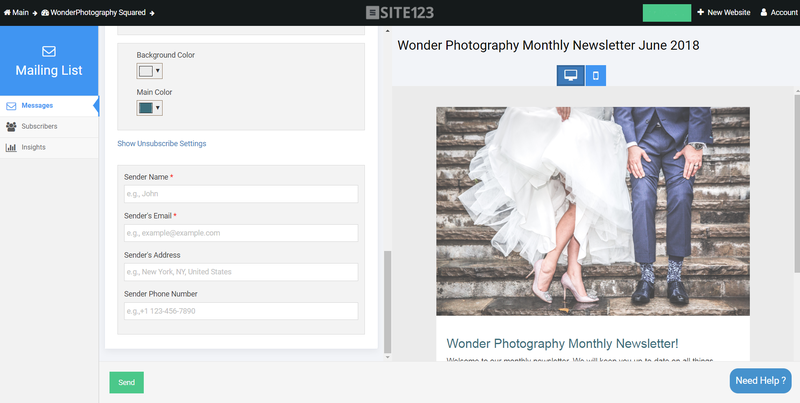 Overall, SITE123 seems to be a solid website building platform for small business owners. Navigation is made simple, as everything in the editor and in the main Dashboard is extremely intuitive and easy to find. Although the website building platform is full of features, it does occasionally feel limited. At times, the platform relies heavily on third-party integrations, as there are many features native to the website builder, but far more which rely on the enhancement of third-party enhancements. On another note — through its use of drag-and-drop technology, overall customization of your website is fairly effortless. The website builder is extremely user-friendly for those who are inexperienced in building websites. There are free images offered via Unsplash. You can translate up to 150 words on your website into over 50 different languages. You cannot select a template. For example, you must choose the kind of site you wish to create. This means if you want to build a site designed for business — everyone starts with the same theme. Only then, can make customizations to themes. Users do not have access to the code. You cannot import/export site content. Have Experience With Site123? Share it!